1. Preheat the oven to 200°C (gas mk 6, 400°F). Butter the inside of a large casserole. Roughly cut the lamb into chunks, removing any excess fat. Peel and cut the potatoes into pieces about 3cm square. Clean and quarter the mushrooms. 2. Place the lamb in the bottom of the casserole, and cover with the potatoes, then the mushrooms, then the peas. Sprinkle on the salt and freshly ground black pepper. 3. Pour in half the soup, then stir the mint sauce into the remaining soup and pour in as well. Add the wine, if desired. 4. Finally, add enough water to cover the potatoes by about 1cm. Cover, and cook for 1 hour. 5. Reduce the heat to 150°C (gas mk 2, 300°F), and cook for about 3 hours. Check the meat and potatoes are tender, and serve. You can use the cheaper cuts of lamb, such as shoulder. If you have any lamb bones, then put them in as well for added flavour. 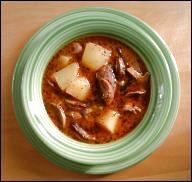 This recipe is suitable for a slow cooker. If you enjoy casseroles, check out our review of Casseroles. Comments? Questions?...then contact us here. 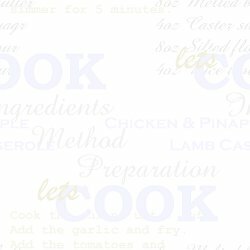 Letscook is supported by DVDpricebuster.co.uk - click here for the best price on cookery and other UK DVDs.